With proper care and a little creativity, you can keep your colour-treated hair looking shiny and vibrant. Hair colour can make hair more porous, which causes it to absorb and release moisture more easily. This can cause loss of colour molecules every time your hair gets wet. Here are tips on how to keep as much moisture in your hair as possible, by maintaining the best possible condition. Begin by asking your hair colourist to use a professional hair colour with conditioning properties that will continue to condition the hair as the weeks go by. Hair colour with natural oils will help retain moisture in your colour-treated hair and leave it looking shiny and healthy. Ammonia-free haircolour is another great professional option that treats hair with TLC? 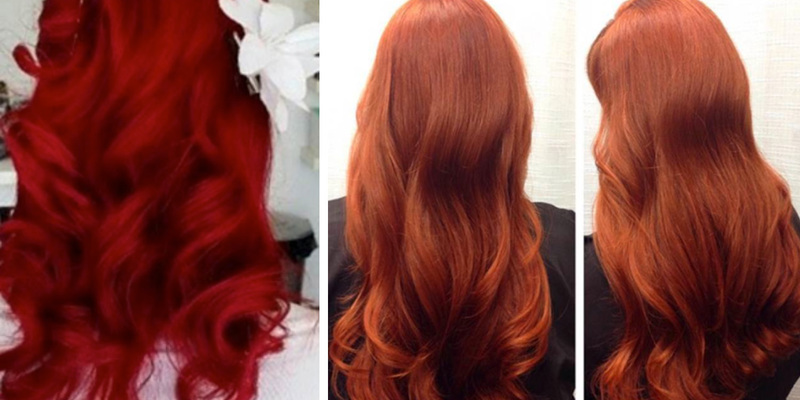 – Red hair colours tend to fade faster because they have the largest molecules. The molecule size makes it more difficult for red dyes to penetrate deeply into the hair, thus they dissipate more rapidly. So when going for a red hue, be sure to have your stylist use hair colour that maximizes high-definition colour results with minimum stress to the hair’s cuticle. – To prevent water from washing away your vibrant colour, the answer is simple: Wash your hair less often. To retain those natural oils that help condition your colour-treated hair, shampoo just two or three times per week, and never more than every other day. 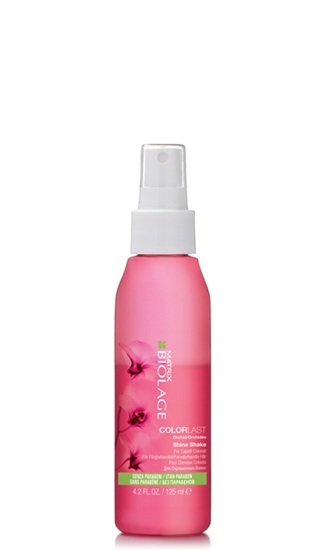 This will help your colour last longer and help maintain health in your coloured hair. — To help keep colour-treated hair looking fresh, flip your hair over and spray dry shampoo at the roots to soak up oil. – When you colour your hair, wait at least 48 hours to shampoo, preferably longer. If you can go three or four days before shampooing, even better. This will give the colour plenty of time to set. — During those off days, wear a shower cap to keep your colour-treated hair from getting wet while showering as this can cause some colour to fade. Or, pull your hair up into a loose bun or a ponytail to protect it from getting wet. – When you shampoo, stick to lukewarm or cooler water temperatures. Super-hot water leeches dye out of hair faster and strips the colour because it opens the surface of the hair strand, which causes the dye molecules to escape. – If you can, consider using moisturizing conditioner only on your colour-treated hair. Shampoo can take more colour from your hair more than conditioner. – When you do shampoo, be sure to condition your colour-treated hair every time with a colour-protecting conditioner. Conditioned hair will help your colour look shinier and more even. Even if you have fine hair, condition the tips, which are the oldest hairs on your head and have the most damage. Start at your ears and work your way down to the ends. 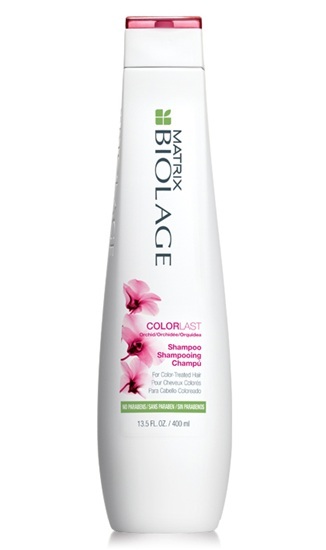 – When you wash colour-treated hair, be sure to use a colour-protecting shampoo. Using a good shampoo will help your colour last longer and help maintain the health of your processed hair. – Sulfates can strip colour from hair, so look for a sulfate-free shampoo. Sulfates contain salt, which strip away moisture, and moisture loss is one of the main causes of colour fading. – Clarifying shampoos can strip hair colour because contain a high level of detergent in order to deep cleanse and remove build-up of dirt and hairstyling products, so avoid using them unless it’s right before you are going to have your hair coloured. If you have gray hair you are covering, look for a clarifying shampoo that removes hairspray resins, silicones and waxes. – If you don’t use aconditioner specially formulated for colour-treated hair, you won’t get the results you want. Because colour-treated hair has a different chemistry than its virgin counterparts, you’ll need to use a colour-protecting conditioner. Conditioners with oils such as Tahitian monoi and those from the Ojon nut can help resist fading and create a protective barrier on colour-treated tresses. In addition, there are conditioners that are formulated specifically to prevent premature fading in colour-treated hair. — For extra shine, pamper your colour-treated locks once a week with a deep-conditioning treatment. Apply the treatment to damp hair and comb it through from roots to tips. Pull your hair into a bun and pin it into place or wrap it up in a soft towel and leave the treatment in your hair for 30 minutes. When you rinse it out, you’ll be left with softer, shinier hair. – Using a leave-in conditioning treatment can help detangle your hair and protect it from heat tools, the elements and other damaging forces. 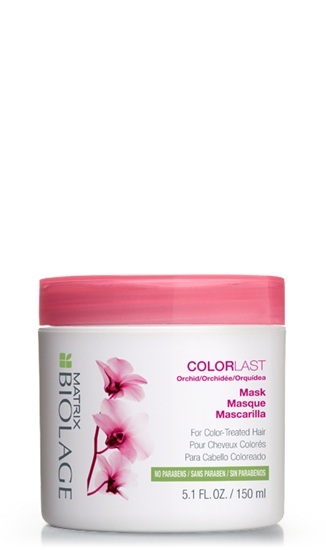 Look for leave-in conditioners that are specially formulated to protect colour-treated hair. This is particularly important if you frequently use blow dryers, curling or straightening irons or if you spend a lot of time near a heater or in the sun. — Hot oil treatments are simple to do at home and help colour-treated hair really shine. Apply the treatment oil to clean, towel-dried hair, and cover your hair with a shower cap or plastic wrap. Apply heat by using a hot towel, blow dryer or even by sitting in the sun. After heating the oil, allow the hair to cool to room temperature and then rinse with cool water. – A couple of weeks before you get your next hair colour treatment, use masks and deep-conditioning treatments so your hair is strong and ready to receive colour. Then shampoo with a clarifying shampoo just before your appointment. — If you use blow dryers and irons on your hair, make sure that the hair is completely dry before using heat so it won’t cook from the inside out. Prepare the hair with a fortifying leave-in conditioner and finish with a protective hairspray. — What you eat has everything to do with the health of your hair, and how it looks. The nutrients from a healthy diet provide the energy that fuels hair growth and luster. Foods that include iron-rich protein feed your scalp and hair by building strong keratin, the protein that strengthens hair, improves texture and stimulates growth. Consume lean meat, fish, low-fat cheeses, egg whites, spinach and soy to keep your colour-treated hair looking its best. Between meals, snack on fruits, nuts, vegetables and grains. — Vitamins are another key to keeping colour-treated hair healthy and shiny. Vitamin C keeps blood vessels in the scalp healthy by supporting hair follicles. Vitamin C also helps you absorb iron from plant proteins. 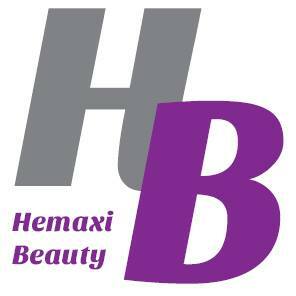 Biotin, an essential B vitamin, strengthens weak hair and improves its texture. Biotin is found in salmon, carrots, egg yolks and sardines. When diet is lacking, taking vitamin supplements can help keep hair – and your body – healthy and strong. — Dyed hair is more susceptible to damage, so avoid using blow dryers, curling irons or straightening irons as much as possible. Whenever you can, let your colour-treated hair dry naturally. If you are going to use heat, after using your colour-protecting shampoo and conditioner, apply a heat-protecting styling product. If you must blow dry your coloured hair, keep it on the lowest heat setting. If your blow dryer has a cool blast setting, use that instead. — Whatever the season, the sun’s rays can fade hair colour. Try to avoid long exposures to the sun, but when you are outside on a bright day, care for your colour-treated hair by using products containing UV protectors. Many styling products, leave-in conditioners and hairsprays have SPF in them. Some UV-protecting products even contain a mix of vitamins to help restore colour-treated hair and prevent future damage. If you know you’ll be outside in the sun for an extended period of time, wear a hat to provide extra protection. During the summer when the sun’s rays are at their most harmful levels, spritz on a moisturizing spray with an SPF factor of 10 to 15 throughout the day to protect your coloured locks. – If you spend much time in a swimming pool, wet your dyed hair and apply a protective leave-in conditioner before you get wet to help prevent the chlorine from damaging your colour, because the chemicals in chlorine can build up and cause haircolour—especially lighter colours–to shift to an unattractive green hue. Or, wear a swim cap to keep your hair dry. – Too much of a good thing can become a bad thing, and that includes hair colour. Colouring your hair too often can cause damage, so don’t colour more than once every five to six weeks. When roots begin to show, there are a variety of products on the market that help you get through until the next colouring. At-home touch-up kits, hair mascara and spray-on root concealers can all help get rid of the “zipper” and hide grays between hair-colour treatments. – Again, don’t overdo the chemicals on your hair. If you colour, try to avoid simultaneous perming or relaxing. If you want to do both, stagger the treatments, and be sure to ask your stylist for low-ammonia, botanical formulas that condition the hair while processing. – If your dyed locks are frizzy, your hair may be damaged. The best way to keep your colour-treated hair looking its healthiest is to get regular cuts or trims. You don’t have to get a super short cut; just enough to keep frayed ends at bay.